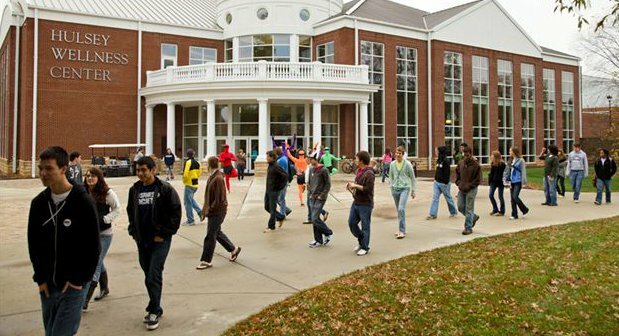 COLLEGEDALE, Tenn. --- Southern Adventist University unveiled bold plans to send all of their confirmed "slacker" students oversees for year-long mission assignments. Lazy students have been sent letters this summer notifying them of their status as "Total Slackers" as well as a choice of three different mission destinations for their overseas service. "The thinking behind this latest innovation in student missions is two-fold," said the university's Associate Chaplain, Tagger James. "First and foremost we hope these slackers grow up during their mission year. Second, our average GPA as a school will skyrocket without these bozos weighing us down." The university has had a busy summer so far confirming international service opportunities that require little more than a lazy smile and a heartbeat to fulfill minimum requirements. School officials have sent thick packets with large-fonted, picture-heavy informational material to just over 55% of the student body, billing their coming year as an opportunity to "Keep Being Yourself Somewhere Else." "So far Total Slacker response has been characteristically slow," said Southern's Student Missions Coordinator, Maya Weaver. "We aren't at all surprised." She added that of the modest slice of lazy students that have paused their summer vacationing long enough to respond, not one has contested their identification as a slacker. "Mostly we've just had students emailing us requesting mission service in the world's prime surf spots."